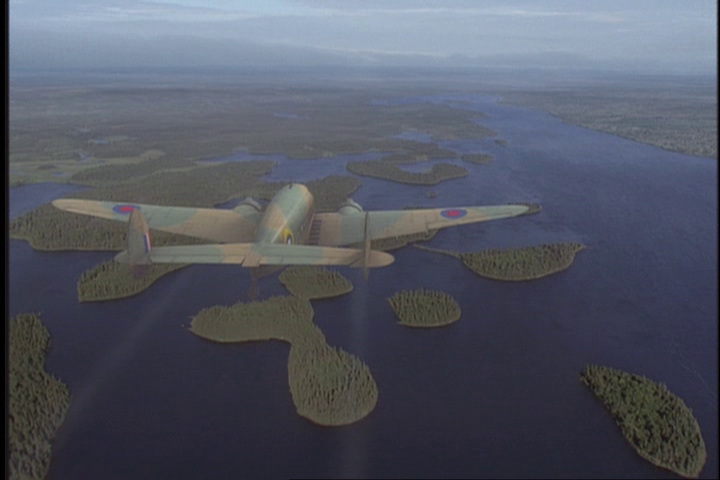 Above and Beyond (2006, 2 Part Mini-series) is a Canadian drama that was a pretty good effort to show an obscure part of the Allied war effort. The Brits were in need of war materials and some of it was sitting on runways in North America. 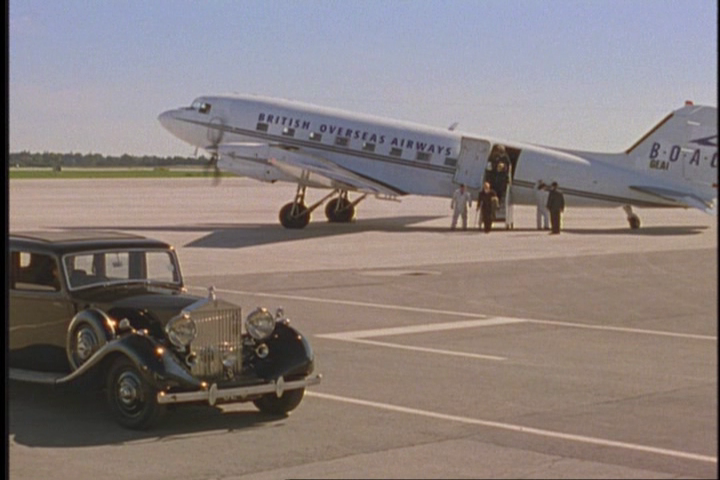 We see the story of how a rag-tag bunch of pilots managed to ferry the first Lockheed Hudsons across the Atlantic from an obscure, civilian, family-run air field in Newfoundland to the UK. The Hudson, a homely and under-rated workhorse of the RAF, was a patrol bomber used heavily and very successfully in the war against the German U-boats. 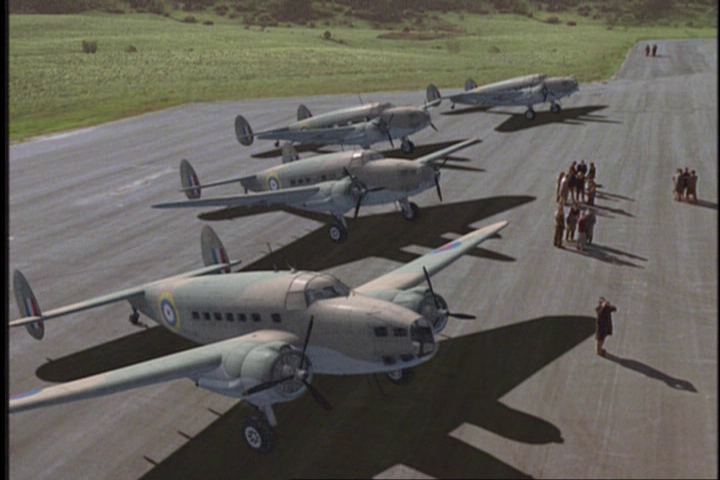 Its not every day a portly patrol bomber is the most elegant and heroic aircraft of a film, it was nice to see. 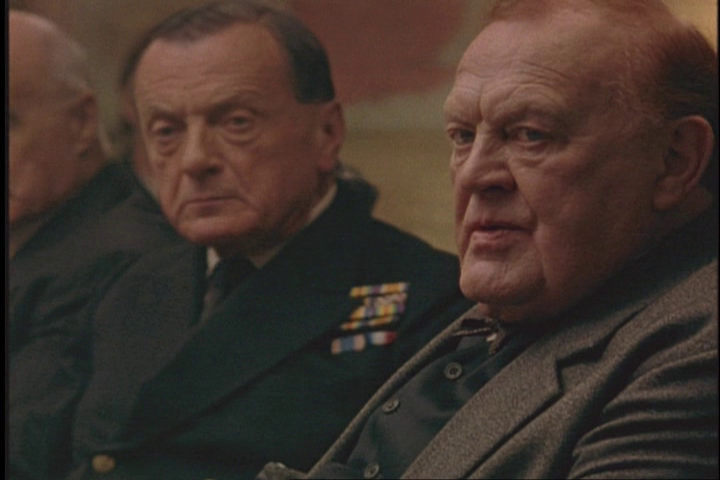 The story begins with a war department in dire need of help in fighting the Kriegsmarine and its U-boats in the North Atlantic. Aircraft could be shipped overseas, but that would be slow, require disassembly and re-assembly time, and the ships themselves would be vulnerable to the very aggressors they aircraft were supposed to ward off. As a result, the novel idea of flying the bombers across the Atlantic was hatched. This was a very dangerous ferry operation. The characters are likable and believable, from Winston Churchill himself all the way down to Rosie, the less-than-attractive but endearing sister who loves aviation more than anything else. This film is mostly drama, not a lot of action, and even the action is mostly just tension and suspense. Its not really a war movie other than the fact that the war provides the occasion for these Newfoundlanders to get together. There is a romance, an ex-romance, politics and daring risk. Dialogue is good, and there are some pretty witty one-liners. Its a good story of bravery and gettin’ it done. The production value is acceptable. 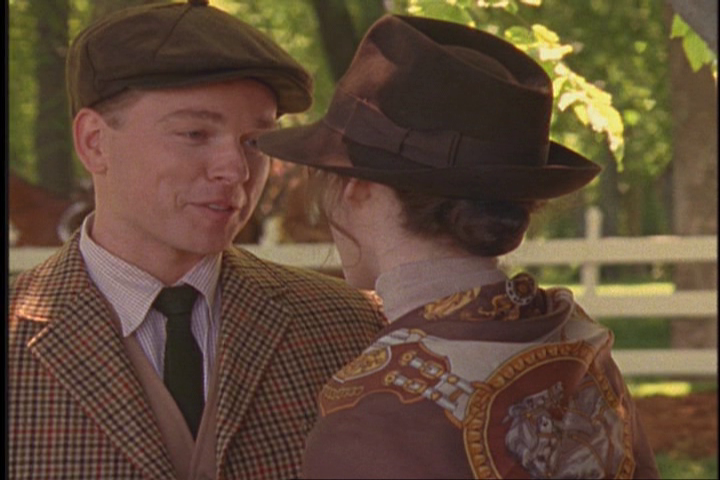 It has the feel, as one reviewer said, of a Hallmark channel film. That’s OK. The CG is not that great, but good enough. 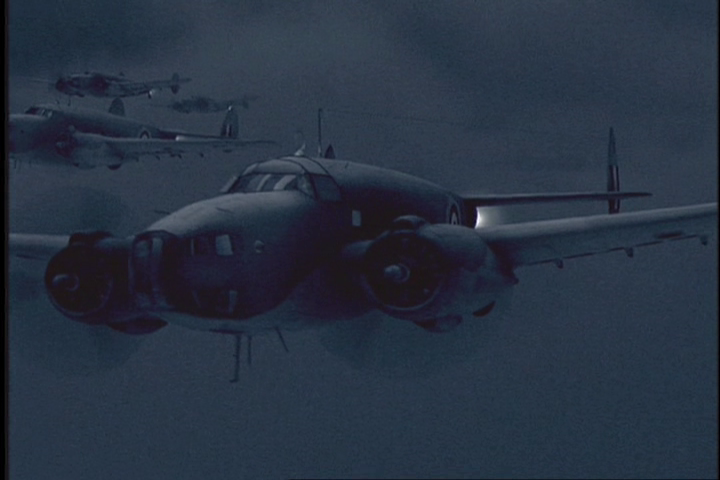 After all, you just can’t find a squadron of Hudsons to hire for a movie these days, they had to be digitally modeled. The interior shots of the Hudson cockpits are rather speculative and sparse, but that’s just the finicky airplane nut coming out in me. The first time I watched the film, I was absorbed enough to overlook the flaws. The production captures the style of the day. A very nice jacket, a great look there. This is a three-hour long production split into 2 parts, so its a hefty chunk of movie to watch. Its also in 4:3 ratio for television. If you have nothing else to do, its a pretty good watch with a wife or family, a good tale of daring, but if you are looking for an aerial drama or combat-action, this is not the movie. Overall, I’d recommend this as a date-night movie or one to watch with the wife. Its a good compromise between a war flick and a drama. It has great moments, and the characters are real enough. You get a taste of Newfoundland, and if you pay attention, you’ll learn something about WWII.